How to Choose the Perfect Living Room Furniture? News: How to Choose the Perfect Living Room Furniture? One of the aspects that we must take into account in relation to our home is decoration. The living room is one of the spaces of the home in which more time is spent watching TV, receiving visits, with the family, etc. Therefore, it must be a warm and pleasant place. How to choose the perfect living room furniture? What decoration tips should we take into account? In this article we tell you. The furniture can take up a lot of space and if your room is not too big, you should look for them that are not too big and you can distribute them in a comfortable way. Furniture like the sofa, coffee tables, shelves, bookshelves, tables, dining chairs and auxiliary furniture are essential when decorating a room, but ... be careful with its size! If your room is too small, an alternative is to order furniture made to measure. With them you can take advantage of all the space, although these must have straight and simple lines. The furniture should be light colors, never dark. Only the use of dark furniture is recommended in case the room is very bright. With regard to seats, a sofa is recommended better than the seats, especially if they are extensible as well as chaise longues. If the room is too small and the decorative style allows it, you can also choose poufs as an alternative. Floor lamps can look good in any corner and can be found in many different styles. If the room is too small you should opt for points of light on the ceiling or even place them on the walls of the room to make the most of the space. The installation of sliding doors is a great idea if there is not too much room, bet to decorate in vertical, do not overload the environment (bet on minimalism) and paint the walls in light colors. 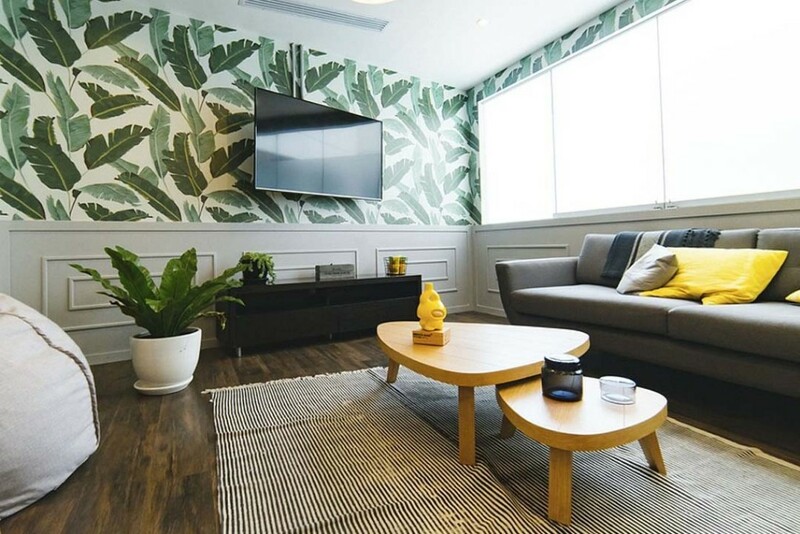 Thanks to these tips, you will achieve that the living room is as you have always wanted, taking advantage of all the space and with the decorative style that you like.